Retro-Pixel Castles - Village Survival Mayhem! 864 backers pledged $10,163 to help bring this project to life. Update #1 - New Rewards + Game Updates! Update #2 - 40% of our goal! Update #3 - Children and Reproduction. Update #4 - Scaling, Looking for feedback! Update #5 - Adding zooming and UI scaling, based on your feedback! Update #6 - 50% Mark Passed and Some Marketing Tips For You Guys. Update #7 - Retro-Pixel Castles has been GREENLIT! Woooo! 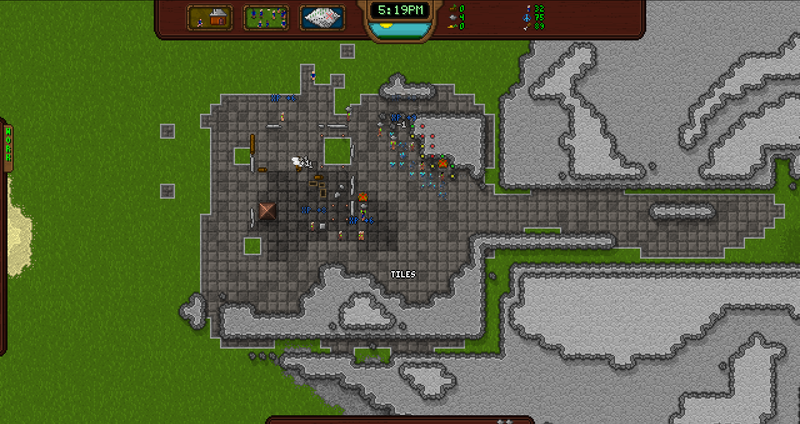 Update #9 - Retro-Pixel Castles price is now confirmed at $14.99. Update #10 - New Stable Build Released! Update #11 - Unstable Build - Major Code Changes, I Need Your Help! Update #12 - First Stretch Goal! 5 New Tile Sets + Second Stretch Goal FOR FREE! Woohoo! Update #13 - Jump the gun? Sure why not! You can start getting ready to get your rewards now if you'd like. 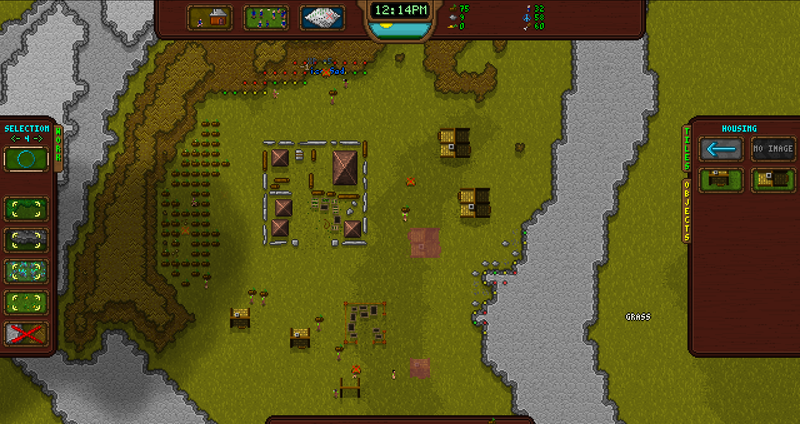 Retro-Pixel Castles is at heart a village simulator. But, where most village simulators focus mostly on balancing your village, RPC also throws in a heavy blend of raw survival and tactical gameplay. 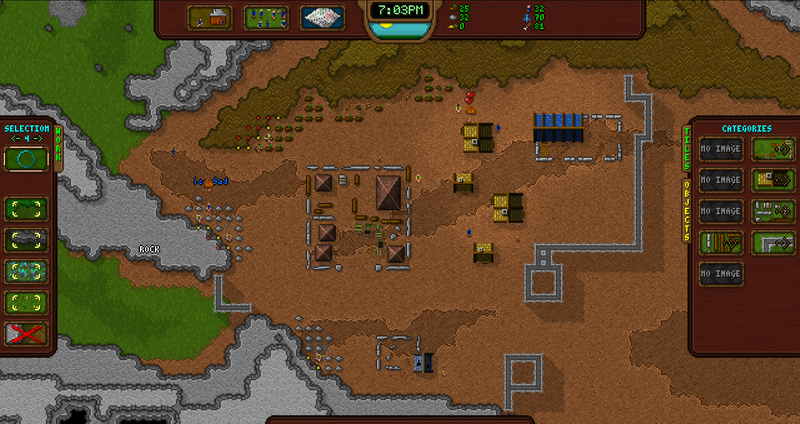 If you could imagine a roguelike village sim, that's what this game is all about! In RPC you will lose. Endless survival is impossible, the goal is to see how long you will survive. 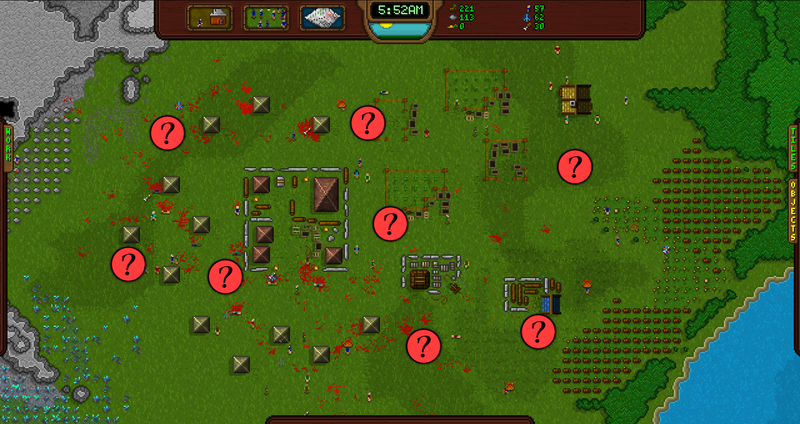 RPC takes it's inspiration from other village management games like Dwarf Fortress and Banished and mixes them together with elements of survival games like Don't Starve with a sprinkling of some RTS elements seen in games like Command and Conquer there are even some classic Tower Defense concepts to help you bottleneck and handle the onslaught of monsters trying to kill off your poor little villagers. Out in the dirt, chopping away at the land. Yeah, that's right. Not being able to win is a feature! The problem with nearly all village sims is you tend to reach an inevitable point where you can't lose the game. You just become so skilled at knowing exactly what to do, and in exactly what order, the game loses all of it's appeal and you run off to play something else. That's not the case with Retro-Pixel Castles! RPC aims to make a game you can't win. Every game day, the game gets progressively harder with no end in sight. The goal of the game isn't to win, but to survive as long as humanly possible. Some old buildings along a mountain. A major part of the game is village management, and trying to discover new and creative ways to keep yourself alive as long as possible. In RPC, you will plan many days in advance how you're going to build your village and survive the inevitable onslaught of the monsters that will attack you! You will find yourself in a harsh and unforgiving environment, constantly trying to find new ways to keep your little villagers alive for just a few more days. As you play, you'll unlock more content, like additional buildings, items and units you can use in your next attempt to see if you can survive even longer than the last! Even though you can't beat this game, you most certainly can make progress in it! Every round you play you'll gain experience, unlocks, and other interesting goodies that will expand the game. A Whole Bunch of Mobs! Still somewhat under wraps are the monsters of Retro-Pixel Castles, there will be tons and tons of monsters all over the map that will do everything in their power to eat your poor little villagers, and every night more spawn at ever progressively higher difficulties. Good luck surviving! Someday you might figure out what really caused this mess. Each map is a massive 512x512 tiles in size, and a typical play through you may find yourself only playing in a small area, usually in about 128x128 chunk of space. Each time you play, you start at a different location on the map, and each location has it's own challenges. So each of these massive maps are like having multiple maps all in one! Tons of map set themes! Every set of maps will follow a certain theme (Forest, Desert, Underground, etc). Most of the current screenshots only feature ONE of these map sets, the Forest! But many, many more are planned. An abandoned village in the desert. Starting up a village near a man-made looking narrow passage. FULL-FEATURED Built in Map Editor! Built right into the game engine itself is a very robust, feature filled map editor. The same one used to make the official content for the game! You'll be able to make maps using the same tools I did and share them with your friends, or even share them over on the Steam workshop! 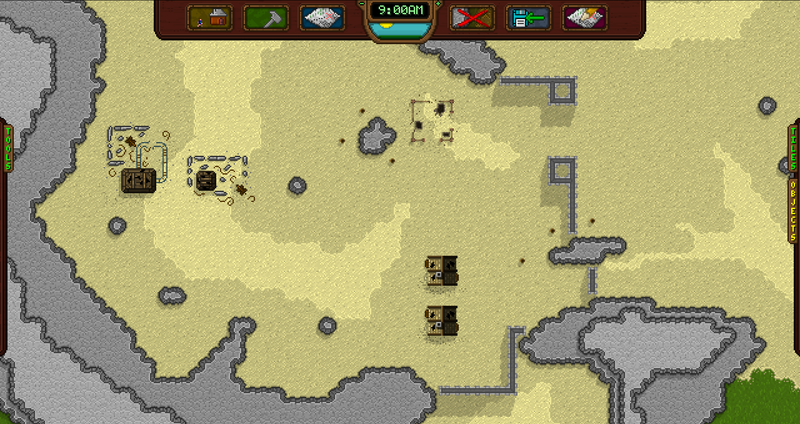 Drawing some terrain in the map editor. Playing with the lighting system and some lava in the map editor. A full, original soundtrack, made by Bibiki Garcia that blends orchestral instruments and old 8 and 16 bit retro era music together in a beautiful blend that fits Retro-Pixel Castles perfectly! ALL CONTENT PATCHES/DLC ARE FREE! I don't believe in paying for Downloaded Content. If you buy Retro-Pixel Castles you will have access to the entire game and all the content I'll ever create for this game! I believe DLC is greedy, and you deserve to have the full gaming experience from day 1, right out of the (figurative) box! An important note on delivery date: December 2014 is just a placeholder because Kickstarter requires an officially set date. Most rewards will actually be awarded as soon as the Kickstarter is complete. While others, like tileset creation, will be completed prior to the game's official release date that is currently TBD. But it is very likely that most of the rewards will be fulfilled before December 2014 anyway. There will be a credits button on the main menu, when clicked it will start a credits roll listing all of the Kickstarter backers and how much they contributed! You will receive a free copy of the game on Steam! A DRM-Free digital copy of the entire soundtrack to load up on your various music devices! Your full name will be added to the pool of random villager names. Must be an actual real/realistic first and last name, it does not have to be your real name if you don't want it to be. Gifted villagers are special villagers with increased abilities, the same rules apply as the regular villagers reward, but instead you'll have the honor of being part of the very small pool of Gifted Villager names. On http://retropixelcastles.com you will receive an award banner on your account matching your contribution level! You will be allowed to make your own custom map that will be included in the final game's "Kickstarter Map Pack" with full credit given to you. There are only two requirements, the map must be playable and must not contain to obscene content. I will add you to my Steam friends list, and you'll be able to interact with my directly. I will occasionally bounce ideas of you, and give you links to test builds and other fun stuff to play around with. You will also have on-demand game support! The ultimate award, you will be given access to every closed alpha and beta and receive a free digital copy of every retail game that SixtyGig Games ever releases! Retro-Pixel Castles only has one artist, programmer and developer, and that's me! With the exception of Bibiki composing the music Retro-Pixel Castles is a one man show. That's why it is so critical I get the support from you guys! I don't have a powerhouse of marketing behind me, nor do I have a big studio of two dozen dedicated developers. It's just me! Come help my dream come true, and help me get my game funded! Bibiki is the guru behind the music of Retro-Pixel Castles, I've hired him on to make the music for Retro-Pixel Castles. A Spaniard currently attending University, majoring in Musical Composition. While Bibiki has contributed to many independent game projects over the years, RPC is the first full blown retail project he has worked on, and he's extremely excited to be part of all this! How can you help out?! Shadows and lighting in action! An older Tech-Demo video from Dev Month 3, featuring many technical aspects of the game. Being a one-man show does come with many risks, but it can also has many benefits. I guess it all depends on what side the coin falls from day to day. The greatest risk to development is me! Since I work alone, if anything happens that has a direct impact on my ability to program, draw or design maps it will slow down the overall development speed of the game because I don't have anyone to fall back on. Although I believe being a one man show can also be a good thing, I am not constrained by any other developers visions of the game, there are no weakest links that aren't pulling their own weight, there's no meetings and quite frankly, there's no drama! That means one-hundred-percent of my development time is spent doing what's important, developing! (( EARLY-BIRD SUPPORTER )) Same as the $7 tier, but $5! (( SUPPORTER )) All of the lower tier rewards, plus a villager named after you and a free copy of the game when it's ready! (( RECOGNIZED )) All of the lower tier rewards, but your name will be used for the upgraded gifted villagers instead and you'll get a copy of the official soundtrack! (( PUBLIC SPEAKER )) All of the lower tier rewards, plus you will be allowed to make up your own random quote for the main menu, you'll be given an additional copy of the game to give to a friend and your Kickstarter Award Banner will be upgraded to silver! (( CONTENT CONTRIBUTOR )) All of the lower tier rewards, plus you will be allowed to make a custom map that will be added to the final game's "Kickstarter Maps Pack" that will be included with every copy of the game! (( MAKE-A-MOB )) All of the previous awards, plus you will be able to get your monster idea added to the game. (( CONTENT DIRECTOR )) All of the lower tier rewards, plus not only will you be able to suggest an entire tileset that I will personally draw, I will also create a collection of maps to go with it as part of the final game! (A NEW FRIEND!) All backer rewards, plus I will add you to my Steam friends list, where I will be there to answer any Retro-Pixel Castle Questions you may have! Your Kickstarter Award Banner will be upgraded to the maximum level; Platinum! (( "THE LIST" )) All of the lower tier backer awards, and as a special added bonus you will be put on "The List" that will grant you access to all closed alphas or betas for every single game SixtyGig Games develops in the future, and a free digital copy of said games when they are released.